Drupal vs WordPress Vs Joomla: What Are the Best Open Source CMS Solutions For the Large Enterprise? When it comes to choosing an open source CMS there is a choice between Drupal vs WordPress Vs Joomla. How do you know which CRM solution is the right one for your business? Drupal vs WordPress vs Joomla are among the most popular open source CMS. Each exhibits useful features in its own sphere. An open source content management system allows you to manage your website content without touching the code. When you have to set up a business website you will be left with a choice between Drupal vs WordPress Vs Joomla. If you are not familiar with CMS you’re probably wondering what difference it will make. To make an informed choice between these three you have to understand each one and how it can affect your business website. As a business how do you know which one you should use? Drupal vs WordPress Vs Joomla is a competition, not to rank one better than the other, but rather to find the open source CMS that provides your business with the best solutions. WordPress is the most widely used open source CMS system. Joomla is the second most widely and Drupal the third most widely used CMS system. WordPress is easy to use and doesn’t require any technical skills. This is the main reason for its popularity today. Over 60 million websites are powered by WordPress and it has a whopping 40% share of websites based on CMS. WordPress has tons of plugin, widgets and themes. Users like WordPress because it is not only fully customizable but it is also expandable. 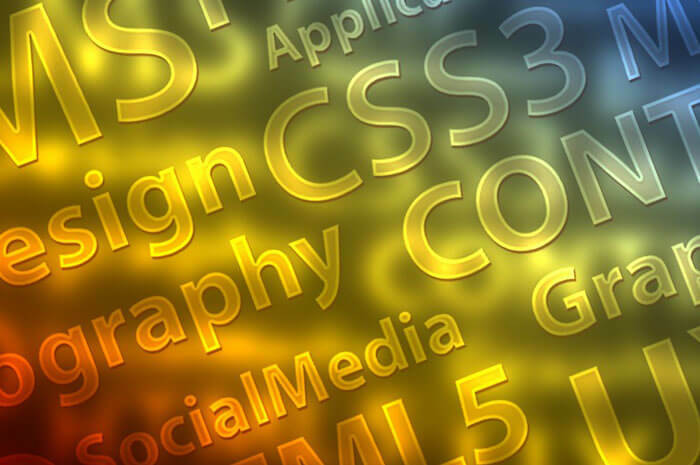 To change the websites appearance or graphics some professional expertise may be required. Joomla does not require a very high level of technical experience. Joomla has a very wide variety of plugins and themes. It can be used for all types of websites. It is the best choice for e-commerce websites. Joomal enables you to make your website more functional through the Joomla extension database. The main reasons why Joomla is popular, is because it is powerful yet flexible. It is also intuitive and user friendly to some extent. A Joomla website has more structure flexibility than a WordPress website. Drupal is very powerful and has many great features, but it is not for novices. To use Drupal you need to have well developed technical skills. Drupal is not only powerful but also very flexible and very SEO friendly. It can support high volumes of content. Drupal offers the user thousands of free modules. Like WordPress and Joomla, Drupal also has readymade themes. To use Drupal you must have some familiarity with coding. The Drupal vs WordPress Vs Joomla comparison leads us to comparing each CMS based on select areas. Drupal is the offers the most secure website. When we compare Drupal vs WordPress Vs Joomla, WordPress has had the highest number of security breaches. Joomla stands in between Drupal and WordPress for its website security status. Drupal has a proactive team who are dedicated to monitoring security. Joomla and WordPress require the user to configure and implement security measures. Joomla encourages certain security practices to make websites secure. The high number of attacks on WordPress is attributed to its popularity. The essence of Drupal is building a custom website. Almost everything in Drupal can be customized. WordPress is termed as a customizable CMS. The website is built on templates, and the widgets, headers and other components can be easily rearranged. The user can also change the color scheme, background image and various other appearance features. Joomla also allows extensive customization. The only drawback with Joomla is that some of the directory items are not free unlike WordPress. Drupal offers the fastest and best performance in terms of speed. Drupal is the fastest loading website owing to low resource dependence and high demand on the server. In the Drupal vs WordPress Vs Joomla comparison WordPress lags behind considerably when it comes to performance. Joomla is reputed to perform well. Much of this is attributed to the built-in performance boosting feature. Drupal vs WordPress Vs Joomla each one befits certain types of websites. WordPress is great for blogs and business websites. Joomla is highly recommended for e-commerce websites and social networking websites. Drupal has a fast performance and used for technical websites and website with high volumes of content. Drupal is highly recommended for large enterprise level websites. Drupal is the most SEO efficient. WordPress has great SEO features which have been recognized by Google. SEO in Joomla is a little complicated and requires technical expertise. In the Drupal vs WordPress Vs Joomla comparison Joomla ranks lowest for SEO. Choosing between Drupal vs WordPress vs Joomla is not a piece of cake. Once you are clear about the features of each, it is easy to figure out which one is most suitable for your company website. Building and maintaining a website, is not an easy task for a business. At BluEnt we pride ourselves in our open source CMS solutions. Get in touch with us to learn how we can help power up your website with our services. Why Your Company Needs an Intranet?